Why Japanese People Can't Walk and Talk at the Same Time If you're lips are moving, don't move your feet! On the whole, Japan is viewed as a very polite society. I'm sure part of this is due to how most Japanese people conduct themselves in public, especially while walking around on the streets. There are a handful of things that are viewed as rude to do while walking around in Japan and I've listed a few of them here. Some of these aren't as looked down upon as they used to be, especially with the younger crowd these days, but chances are if some old folks in Japan see you doing these things in public, they'll wonder where your parents went wrong. 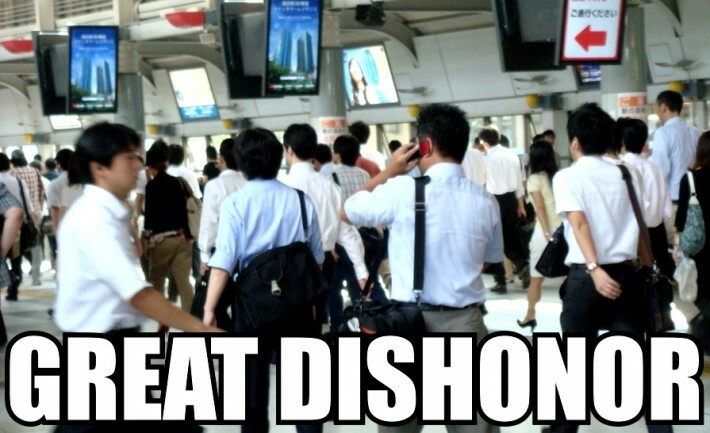 Just like it is on trains in Japan, having loud conversations on your cell phone while out and about is kinda rude. While those on vehicles will usually resort to the much more polite act of texting, if one gets a call on a busy street, it's not unusual for them to take it aside to a more secluded area as to not bother others with their babbling. I've always thought this was kind of strange though. It's not very different from if you were just walking down the street with a friend and chatting it up with them. Maybe it's just the idea that everyone around you only hears one side of the conversation and that is viewed as rude. It makes sense to me when people are on the train though because usually the trains are super quiet, so anyone talking loudly really stands out. One of the most profound discoveries I made while in Japan was how clean their streets and sidewalks were compared to those in America. One of the biggest offenders as far as litter goes in the US is cigarette butts. They're everywhere. I never really noticed it until I got back from Japan and actually started paying attention to them. In most cities you can't go more than a few steps without seeing another discarded cigarette. It's sad, really. However this is not the case in Japan. 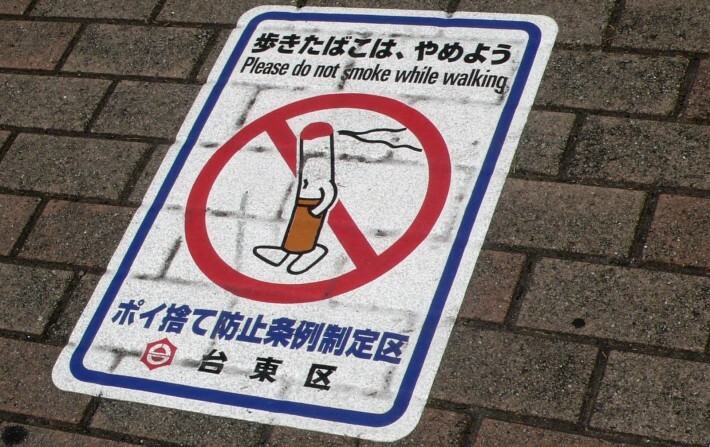 Smoking and walking is one of the biggest taboos while out and about in Japan. In some places, it's even illegal. When you think about it though, it really makes sense. How many times have you been walking down the sidewalk and someone in front of you lights one up? You can either keep walking at your normal pace and deal with the fallout from the chimney in front of you, or you can speed up and overtake them. Either way, it's kind of annoying. Now imagine this situation in a crowded area like Tokyo. Secondhand smoke all over the place. Another reason is that with it being so crowded it becomes easy to accidentally bump into someone with your lit cigarette. If you bump into another adult, you might burn a hole in their clothes, or scorch the skin on their arms. And it's even worse if you happen to bump into a small child. You run the risk of burning their face or getting hot ash in their eyes. Definitely not a pleasant experience. So part of the reason that there are so few discarded cigarettes in Japan is because people are highly discouraged to smoke while on the move. 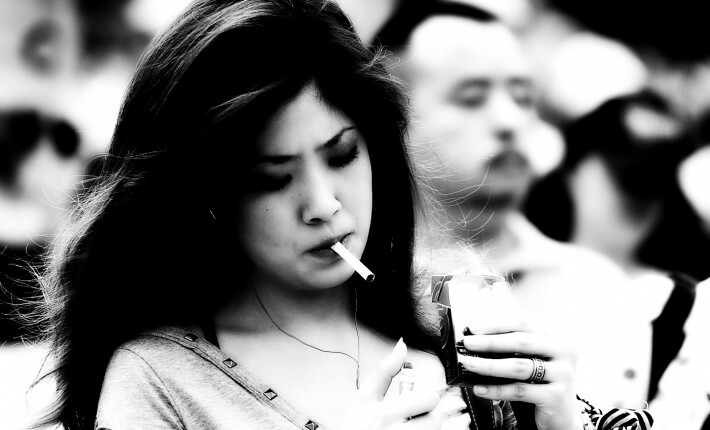 Another reason is because of the many designated smoke areas that exist in Japan. They are places away from traffic where smokers can light up, smoke, and discard their cigs in special containers. I know we have things like this in the States as well, but how many people will really take the time to use them for smoking a cigarette? Not many. 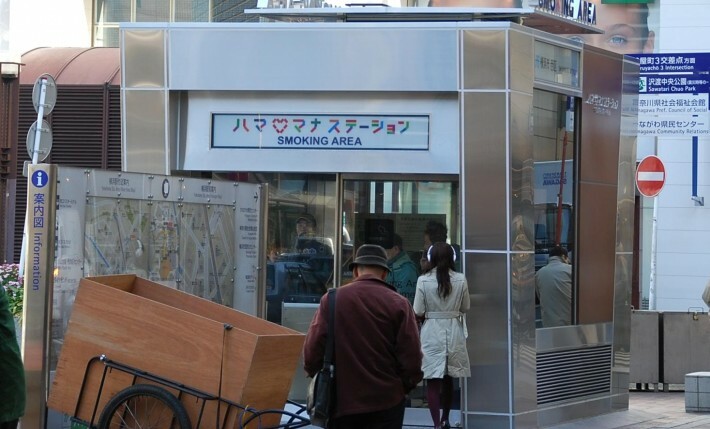 While this is great and all, Japan unfortunately forgot to do anything about controlling smoking while indoors. Unlike Europe and the United States, smoking is perfectly accepted in most all Japanese bars and restaurants. Maybe one day they'll fix that too. While not as dangerous as smoking while in public, eating and drinking while walking is also considered kind of a low class thing to do in Japan. You'd think it would be just the opposite with the abundance of vending machines they have over there, but it is quite the contrary. It's not quite as rude as it used to be, but it's still considered to be kind of lousy. 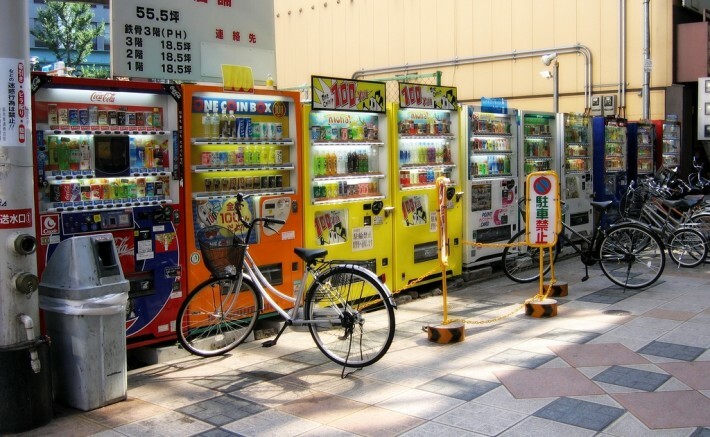 More often than not, when people use a vending machine they will just hang around the machine until they are done with their drink or snack and then continue on their way. Makes sense that a lot of these machines have started to implement free Wi-Fi. When my friends and I were studying abroad in Kobe, we would head down to the local Lawson, one of Japan's many fantastic convenience stores, get some breakfast foods, and eat them on our way back to the dorm. It was far from unusual for us to get some strange looks from the locals while doing so. 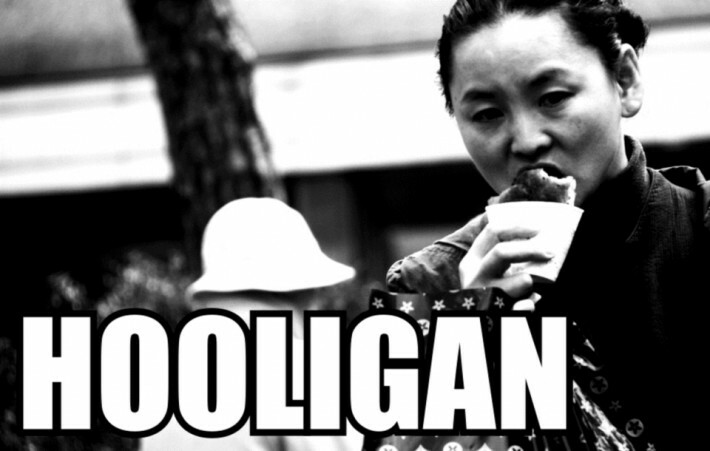 So what do you think about these social conventions in Japan? Think your country would benefit from any of them? I know I'd sure love it if America was more polite with their public smoking habits. Let us know on Twitter!